Many exhibitors have children as well as dogs, and their kids show the family’s dogs in Junior Showmanship when they are old enough. Sometimes the “dog show bug” skips generations, and you’ll see kids participating in shows with their grandparents. At the Novice Junior levels, most children will probably be showing whatever dog and breed their family or grandparent happens to have. However, if the dog show bug bites them thoroughly, and they move up from Novice to the higher skill levels of Juniors, some kids may decide they want to strike out on their own and find a breed and individual dog of their own choosing. Severing the grooming-smock strings if you will. 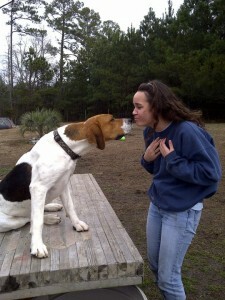 As breeders, this is where we can have a positive impact on the future generations as well as on our own breed. Over the years, my co-breeder and I have provided Champion Harriers for Juniors on numerous occasions. In every instance, this was the first exposure that the Junior and their family had in terms of living with and showing a Harrier. We therefore take that responsibility very seriously, and will only place good quality examples with Juniors. While Junior Showmanship is not supposed to be judged on the quality and merits of the dog but rather the handling skill of the child, we feel that it’s important that the kids have good breed representatives out there for all to see. 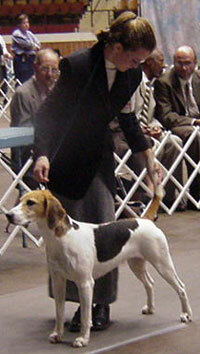 After all, many Juniors will also want to compete in the breed ring with their dog. And with the scarcity of Harriers, there’s a good chance the Junior will be going to the Group often with their dog as a result. 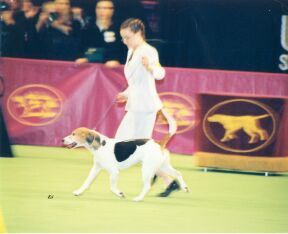 Years ago, a terrier family in another state approached me about getting a Harrier for their daughter to show. 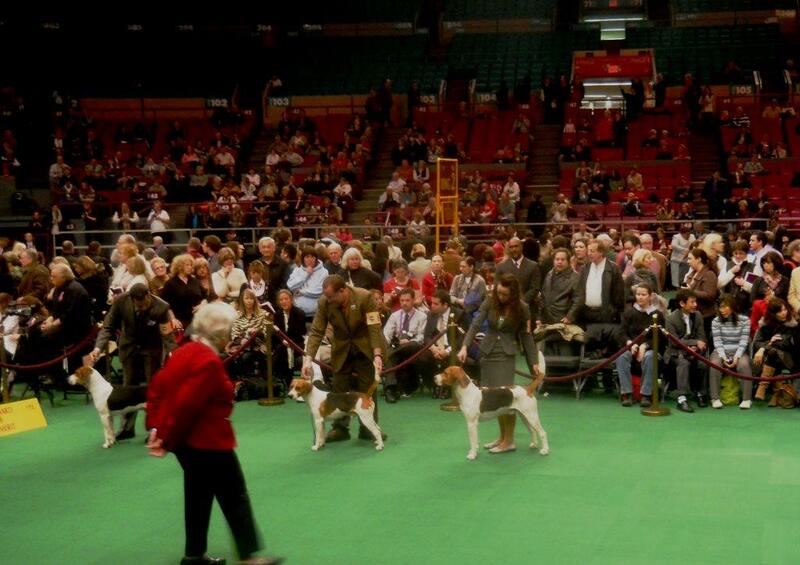 We worked it out to meet at a show near them, and I brought class dogs as well as the finished Champion I had in mind for the Junior. 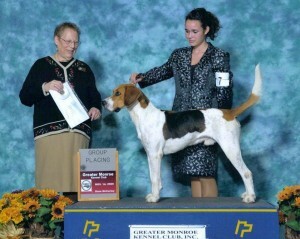 Girl & hound hit it off right away, winning the breed both days. At the Sunday show, the new team earned a Group II placement, which happened to be the very first Group placement ever for the girl. 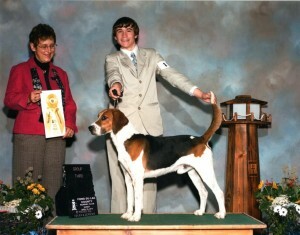 (They went on to have many more group placements, ranking in the top 5 All-Breed that year.) To say they were thrilled is an understatement! As we were packing for the long drive home, the mom caught me to tell me how pleasantly surprised they were that I would “give them a good one”. That remark caught me off-guard, as it implied that it’s common for breeders to give Juniors mediocre – or worse – dogs to show. Why on earth would any breeder pawn off subpar dogs on kids? As everyone is always saying, we need to encourage younger generations to become involved in dog showing so that our sport continues and grows. 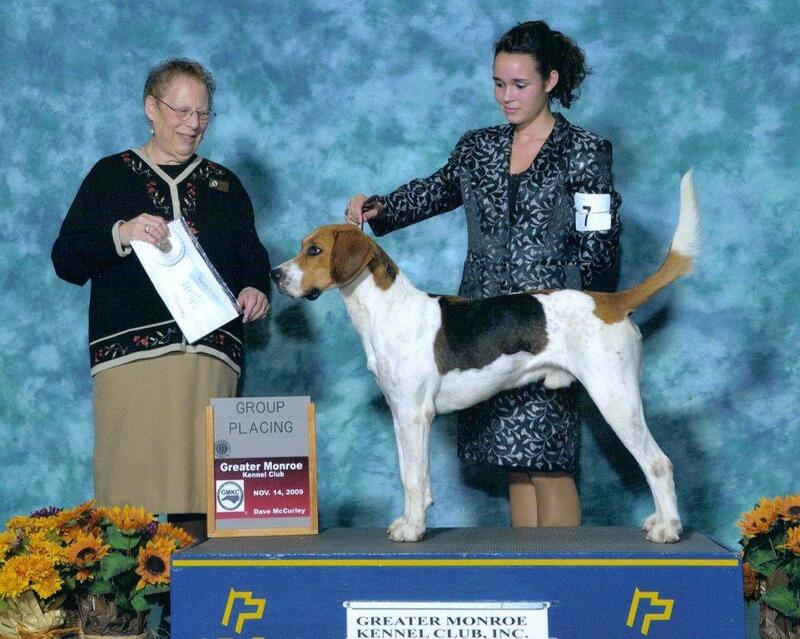 And you do that by giving them quality dogs to be competitive at the breed & group level, in addition to the Juniors ring. This engages them in the sport, and in your breed, by having success in all three arenas. My co-breeder and I go even further. We include in our co-ownership contracts with the families a means for us to financially encourage them to do more. 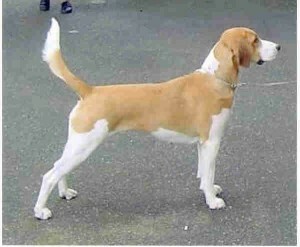 We offer several hundred dollars towards expenses if the Junior wants to take their hound to the Harrier National Specialty, and also if they qualify for either Westminster or Eukanuba with their Harrier. We won’t pay for the whole bill, but we can certainly help them get there. So the next time a Junior approaches you about a dog, please do the right thing and make a positive impact in our sport.